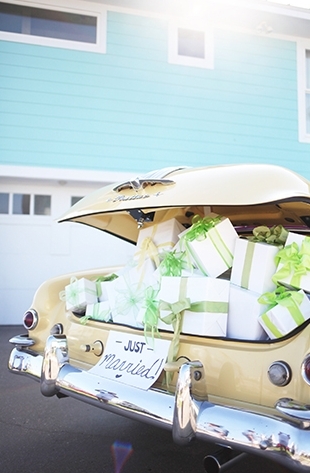 Delicious Tips On Just How To Set Up Your Wedding Registry! Sure, picking out tons of presents for yourself sounds like fun, but the process of setting up a wedding registry leaves many nearlyweds feeling completely overwhelmed… So, to help you get started, we’ve put together a handy guide to registering the right way that will save you from a lot of stress. If you’re having an engagement party or an early wedding shower, it’s especially important to prioritize the wedding registry. Giving yourselves plenty of time to register is also key, as it may take more time than you realize to decide what you really want. Both you and your future spouse will have to live with the things you pick, so be sure to shop together. Not only can registering be a fun date, but it helps you learn how to mesh your styles and compromise. Is an amazing honeymoon more important to you than upgrading your appliances? Would you rather invest in your hobby than your linens? That’s totally cool! Pick two to four places to register, keeping those priorities in mind. 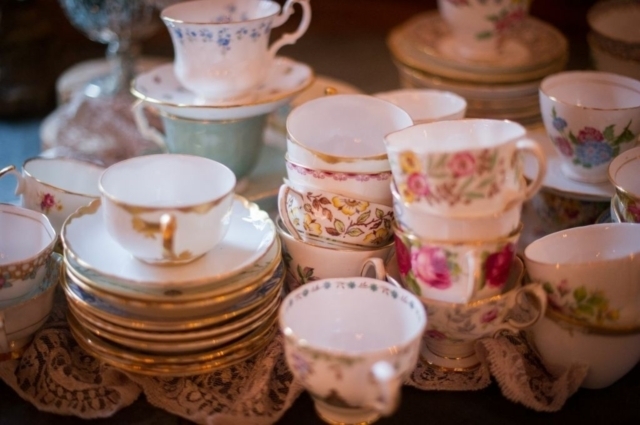 And if you do choose alternative wedding registries, make sure to include at least one traditional registry in the mix to appease old-fashioned guests. Read those reviews, especially for electronics and appliances! You’ll spend the rest of your life (or at least a long time) with whatever you pick, so choose wisely. And consider registering at specific stores based on where those choices are available. Going in blind is bound to end disastrously. You’ll end up getting a ceramic gravy boat and wondering why the heck you registered for it in the first place. Instead, make a list of what you want. It could be super-specific with brand names and colors, but even just a vague list will help keep you on track. Before you go scanner-gun-crazy, review that list. Is everything really, really pricey? Did you choose the lowest price item for everything? Neither is ideal. You want to have a solid mix so that your favorite aunt can splurge and your college-age cousin can save. Many stores staff registry consultants, who will sit down with you (typically for FREE) to discuss the registry process. They can answer all your questions about return policies, managing the registry, and post-wedding deals. There are typically two ways couples register for gifts, and it’s likely you’ll do a combination of both. When you think of registering, do you think of running around a store scanning things with a hand-held gun? That’s what we’re talking about here. Your list can help you from going totally trigger-happy, and in some stores, a registry consultant can help keep you on track. Doing this process in person can be a lot of fun, and it gives you a chance to see your picks up close and personal (you wouldn’t buy towels without feeling them first, right?). Most major chains allow you to register online (or at least get started online). Other non-traditional registries like Wanderable and Zola are web-only, so you’ll set up your wedding registry digitally. This process has its perks, too — you can totally take your time without any pressure, and you can easily research and register at the same time. You’re not done quite yet — though the hardest part is over. Now that the registry is set up, it’s time to spread the word. There are right and wrong ways to share your registry, so be mindful of etiquette. As the wedding approaches and guests start shopping, be sure to check in on your list — not to see what you’re going to get, but to make sure there’s still enough available. If the registry is dwindling, feel free to add a few more items — your procrastinating guests will appreciate it! Some stores give newlyweds a special discount on registry items that weren’t purchased (ask the sales rep if this will be an option). These deals can be a great way to get what you want and save some major cash, so don’t ignore this perk! While these tips should help point you in the right direction, know that every couple is different. Your personal priorities, style, and guest list can (and should!) affect what you ask for.